Nestled on Mexico's Pacific coast are two of the country's most popular beach destinations: Puerto Vallarta and Nuevo Vallarta. 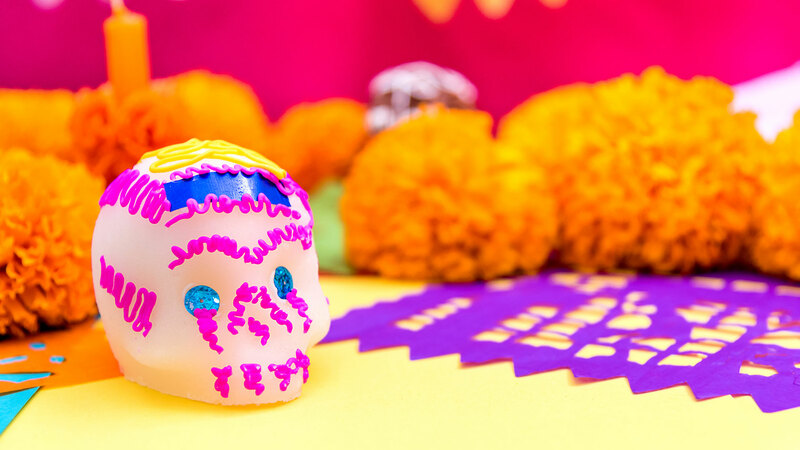 Travelers from across the globe come to the destinations around the Bay of Banderas every year, mostly to these two charming cities. Between the two lies the Ameca River, which also divides the states of Jalisco and Nayarit, the latter of which is commonly known as Riviera Nayarit. Choosing between the two cities can be tricky, but if you know the difference between Nuevo Vallarta and Puerto Vallarta, you can choose the best destination for your travel desires. One difference between Riviera Nayarit and Puerto Vallarta is their downtowns. Because Riviera Nayarit is a destination that spreads across a large region, there is not one central downtown area, rather there are a number of smaller town squares in each of the coastal towns that make up Riviera Nayarit. Nuevo Vallarta, on the other hand, is a more recent development that does not have a town square or downtown area. Unlike Riviera Nayarit, Puerto Vallarta has a very popular downtown, which is where people go to enjoy the nightlife, culture, and culinary scene the city is so famous for. The iconic church and Malecon boardwalk belong to Puerto Vallarta, but Nuevo Vallarta has fabulous restaurants and shops spread out along its palm tree-lined streets. If you look at a Puerto Vallarta and Nuevo Vallarta map, it’s clear that Puerto Vallarta’s downtown is packed and bustling with businesses and local restaurants, but Nuevo Vallarta’s tranquil setting is more spread out with grassy stretches of tropical fauna in between. Both cities lie along the sandy shores of the Bay of Banderas. 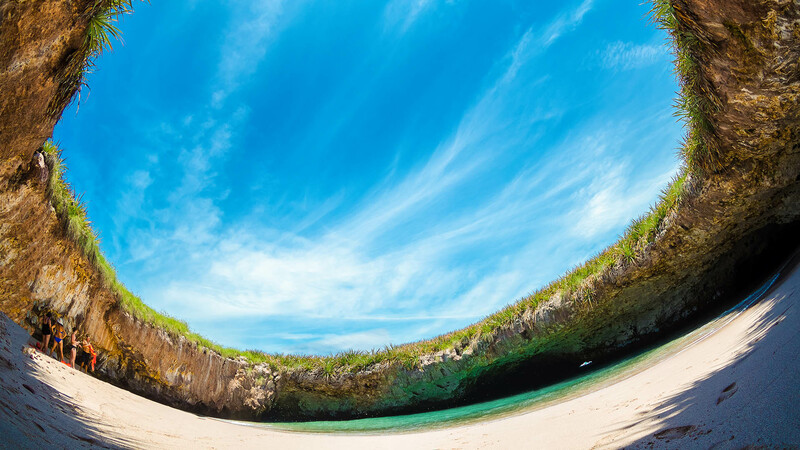 When it comes to beaches, the difference between Nuevo Vallarta and Puerto Vallarta is that the beaches in Puerto Vallarta are shorter stretches of sand broken up by craggy rocks. 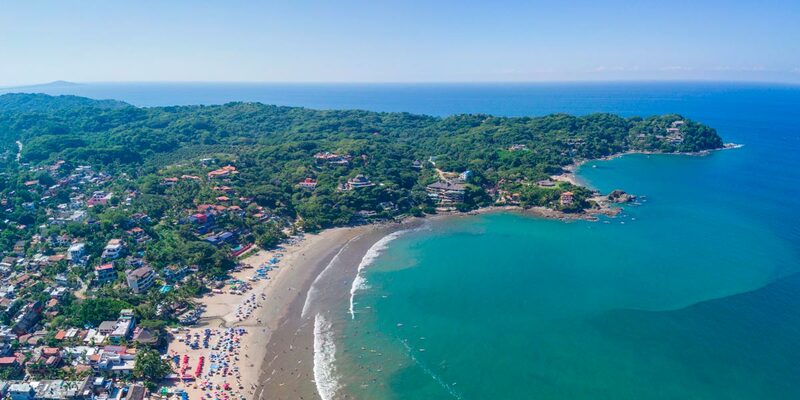 While the majority of the beaches are lush and tranquil, long walks on the beach are best taken in Riviera Nayarit where the beach stretches on for miles. 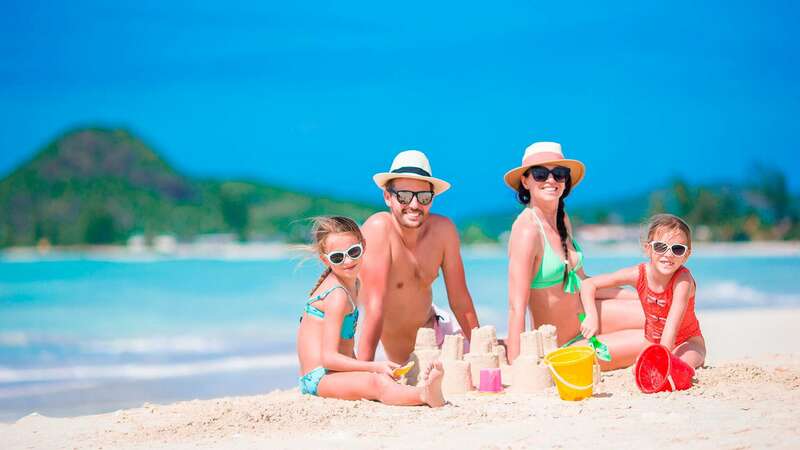 You can enjoy a beach day with margaritas, sunshine, and sea in both cities despite the difference between Riviera Nayarit and Puerto Vallarta. 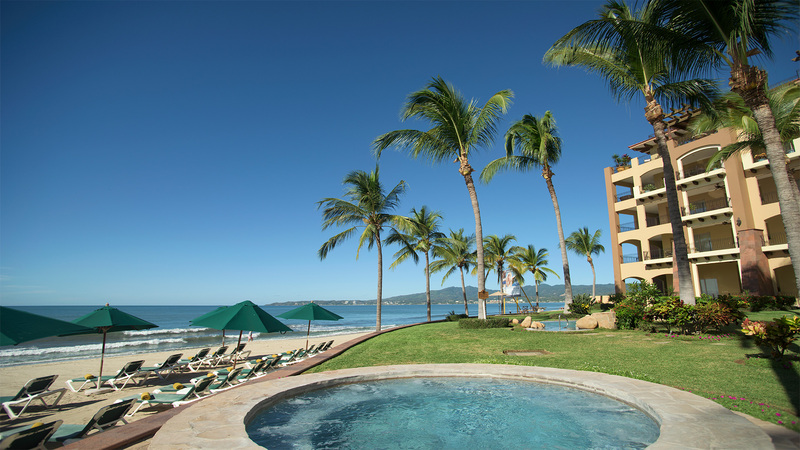 Where you stay along the Bay of Banderas gives you access to different day trips, attractions, and landmarks. If you look at a Puerto Vallarta and Nuevo Vallarta map, you’ll see Nuevo Vallarta is just north along the coast. 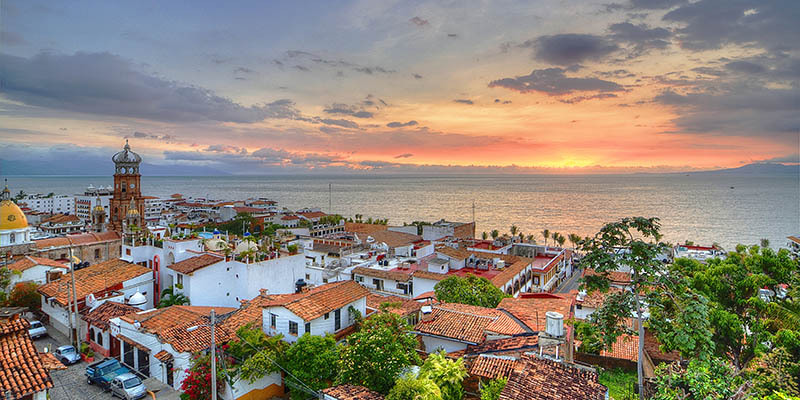 On the southern end of the bay past Puerto Vallarta are a number of local fishing villages and beaches to explore as well as the Botanical Gardens. North of Nuevo Vallarta, there are several hip surfing towns where you can find trendy boutiques and fish tacos. 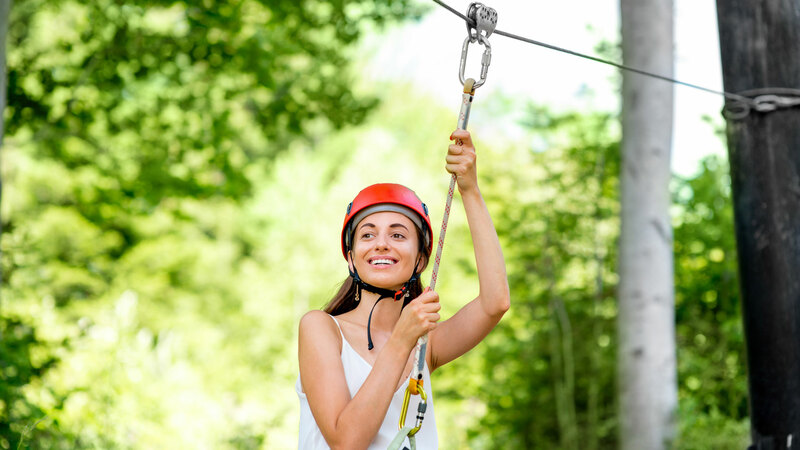 While you can travel to any of these attractions from either city, the difference between Nuevo Vallarta and Puerto Vallarta is how long it will take you to reach these other destinations. On a Puerto Vallarta and Nuevo Vallarta map, you’ll see several different areas to enjoy a walk or bike ride. In Nuevo Vallarta, miles of bike paths line the streets, providing a safe, flat surface for rollerblading, biking, and jogging under the shade of palm trees. On a Saturday morning, you’ll find all sorts of people out for exercise. In Puerto Vallarta, the streets are made of cobblestone which can be less ideal for exercising. To find a smooth surface in Puerto Vallarta, you’ll have to head to the Malecon, which tends to get crowded with tourists. While the difference between Riviera Nayarit and Puerto Vallarta is clear, vacationers enjoy their holidays in both cities. Many even travel between the two during their stay. If you’re still not sure where to stay, try one but make a day trip into the other city to check it out. The more you can see of the Bay of Banderas, the more exciting and diverse your Mexico vacation will be.